Okay, so supposedly we have the Top 15 guys performing on Wednesday evening. But, after Tuesday evening’s show, we know better, correct? I have pretty much said all that I am going to say about the format of the show this season – for now! It is what it is and 5 guys will be sent packing on Wednesday without being given an opportunity to perform. Yay for fairness – sarcasm intended. 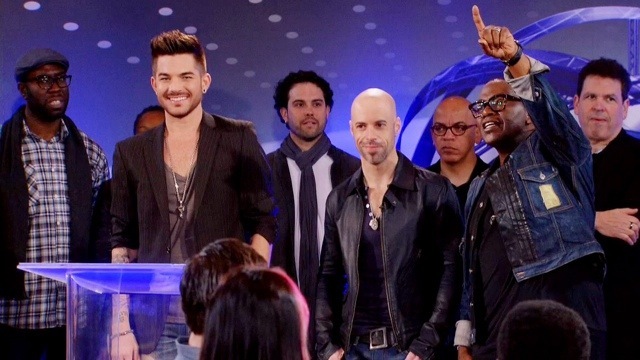 In closing, I thought the mentoring sessions with Randy Jackson, Adam Lambert, Chris Daughtry and Michael Orland were excellent. And Rickey Minor and his band were exceptional as always. So good to see him back with Idol. He is my link to the now retired Jay Leno, whom I dearly miss on The Tonight Show. But, in fairness, Jimmy Fallon was the perfect successor. Any suggestions on who you think will be cut from the live show? Comments are now open for business. Ok only two boys have performed and I am much more entertained. Caleb and CJ were great. I just tuned in! Running late here. Thanks for the update Aubry! Sam was exceptional. He has it all!